After Uli left last year, students who attended the Class continued to talk about the profound effect it had long after the Maestro had left. Students worked hard throughout the year on the Tenets and Principles Uli talked about during that Class, some being Tactile Techniques that Uli had shared with the Class, others being the Insights and Ideologies that are Incredibly Profound, that need a little bit more time to resonate to the depths as hoped for and intended. When the opportunity arose to have another SKY ACADEMY MASTER CLASS here at the School this year (on February 3rd, 2013,”Superbowl Sunday!) with the Maestro, we were elated, and word went out to the Students in attendance from last year, (minus a few who had left the area to attend Music College) all of which enthusiastically and immediately signed up, selling out the Class within the week it was announced! 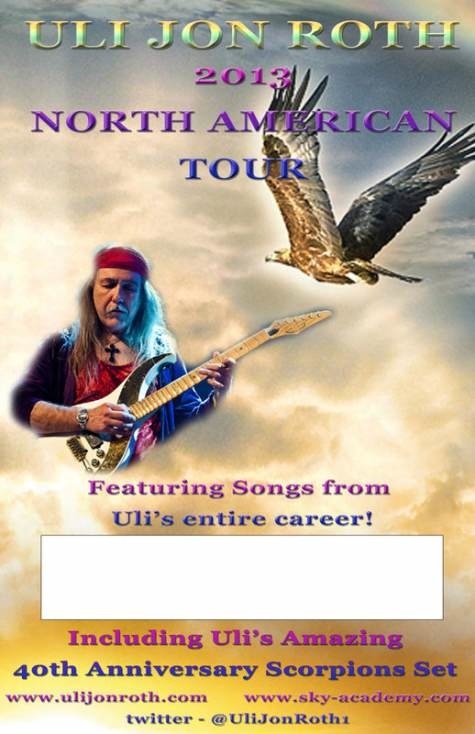 Before talking about the Incredible Day that was to follow itself, first I would like to share some thoughts about ULI’S Current Tour, which is primarily a Celebration of 40 (!) Years of The Music of the SCORPIONS, the German Band that he wrote some of Music’s most Incredible Classic Rock Albums of All Time with during the 70’s. 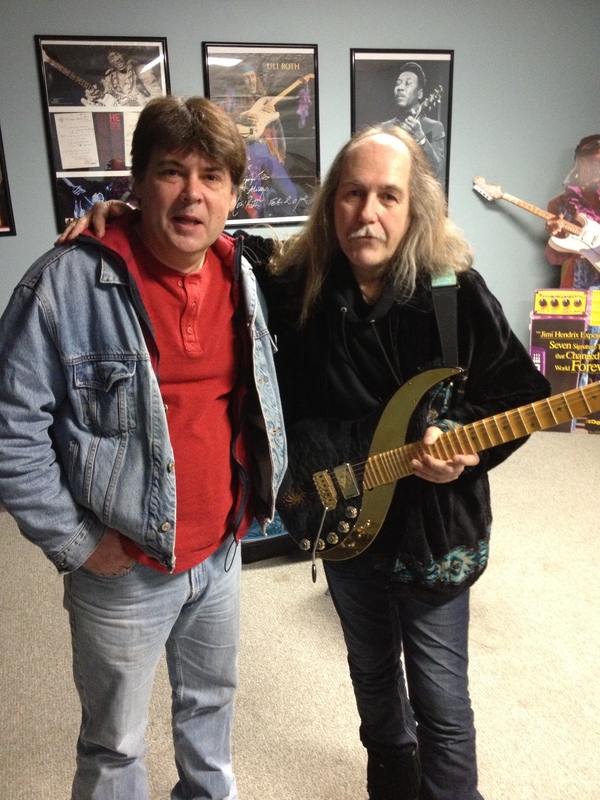 Growing up listening to all of the Greats, and aspiring to do everything possible to learn as much as possible as I could from their records and their essence, I can share that there really was no one like Uli back then doing what he was doing the way he was doing it. I can recall listening to those early SCORPIONS records in my parents house in Laurence Harbor, New Jersey being transported to another world, where every problem that came with youth just faded into the distance as those songs, and Uli’s playing in particular took us on a ride to a different place…At the time I hadn’t yet learned about Metaphysics or Esoteric teachings, but I did know that these records held something “Magical” within, and that they were…”Different” from the songs AM radio was playing on my parents car stereo that we would listen to while waiting to fill up the tank at the local Chevron Gas Station up the Street on Route 35. Our hometown, Laurence Harbor was a typical 70’s “Blue Collar Middle Class” working New Jersey town, and like many others here in the United States, Rock, Metal, (and later Punk) became the Soundtrack to our early years, where the answers to our problems were often found on our turntables and stereos. Here at the School, we equate this era of Rock allegorically to the Great “Classical” Periods of Music, where the Best Composers came for a period of time to share their Art, and the World has not seen the same Quality or Level since those incredible years for Music and Art. We keep an open mind, and hope the Best for the future, but to date, this Incredible stretch of time for Guitar between the 60’s through the 70’s, (and a few in the early 80’s) stands unparalleled for the Quality and Level of Musicianship that came from this era. Starting things off with the Guitar Masterpiece “SAILS OF CHARON”. Another Incredible Guitar Piece is the Classic “CATCH YOUR TRAIN”, Taken from the 1976 V-KILLER Album. We always encourage students and friends that enjoy these records, (which we have in our extensive Music Library here at the School) to purchase them, so you can get the entire experience as intended. These records are really some of the Best Rock Records Ever Recorded, and ULI’S playing on these records has influenced some of the Biggest names in Rock. There are also many Great Tracks from ULI’S Solo Career, but we will save that for another time, as this years tour was more about the 40th Celebration of the SCORPIONS Music…Be sure to check out all those Recordings, and put aside some time to listen to the albums all the way through in their entirety to capture the spirit and essence of that Magical time, and those Great Records! Once again Good Fortune was on our side, as the February Morning began with a few small drops of of snow before the Sunlight broke through the Clouds and gave way to a nice Winter morning here in Old Bridge. Standing in line at the local Dunkin’ Donuts to get some Beverages and Breakfast for everyone attending the event, I couldn’t help but think of how Amazing of a day was ahead for all of us! Soon thereafter the Maestro himself had made his way into the School, and after exchanging “Hello’s” and a cup of tea or two, the Class was ready to begin! Everyone was anxiously awaiting to hear the insights from the Master, but before getting started, we had a surprise for Uli, as the entire class had spent the months preceding learning and practicing one of our favorite SCORPIONS Classics from the “TAKEN BY FORCE” album, “WE’LL BURN THE SKY” note for note to perform for the Maestro as a way of saying “Thank You” through our Instruments, and also to show ULI how the Music he had written and recorded almost 40 years ago across the world has continued to inspire new generations. Incredible! Student and good friend JAKE TAVILL provided an excellent inspired Vocal for the song over the roomful of guitars all playing the Arpeggios in time and in Unison. It was Awesome! 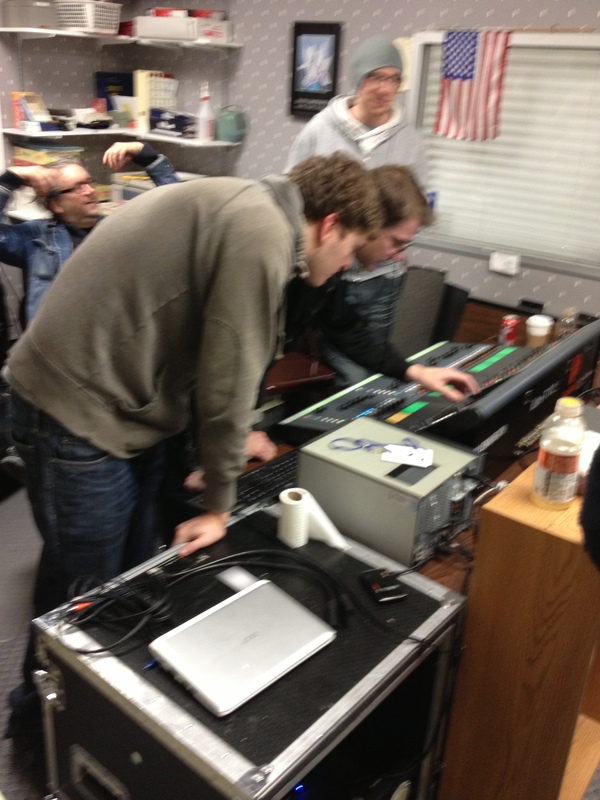 Soon we had finished the song, and it was time for the SKY ACADEMY MASTER CLASS to begin. 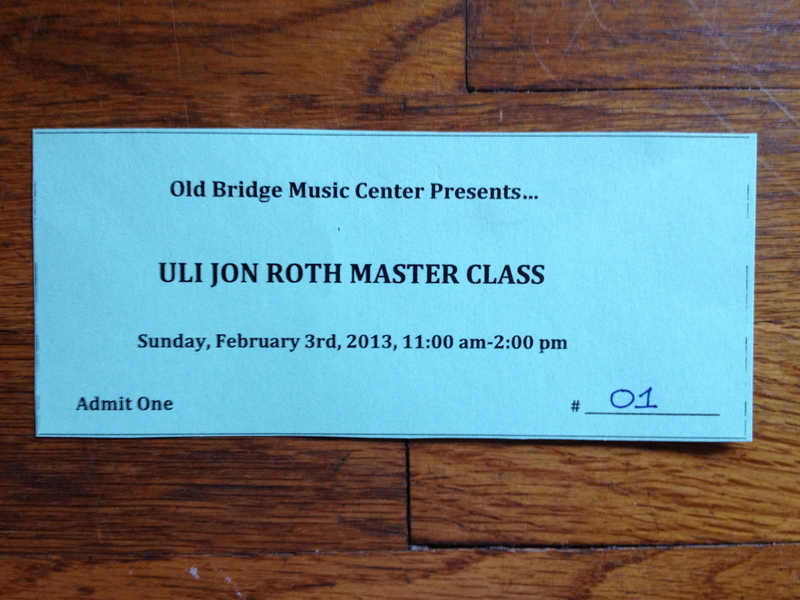 Since most of the Students had already experienced the Master Class before, we were able to “Dive Right In”, and ULI began to do what only ULI can do, only the way ULI can do it! Before playing a note, before speaking a word, there is a sense of “Great Things” to be offered, and if you are tuned to the right channel you will pick up all of the right frequencies. What is the “right” Channel? Your Channel. What I mean by that, is that at the Center of the Sky Academy Master Class, (at least from my perception) is a Map that leads to You and how to get to that place within that enables you to “unwind the knots”, and “plug into” the right outlet to find your creative Muse. There were advanced Philosophical Concepts introduced that take time to digest, as well as Simple Truths that resonated instantly. There were some Incredible Stories about the History and Origin of certain SCORPIONS Classics, and the “Genesis Point” of how those songs came to be. Later on in the Class, Several students got up to play in front of the Master, and receive his suggestions and critique in front of the class- Excellent! Pictured above is OBMC Instructor and Good Friend ERIK RUDIC after playing along with Myself in front of ULI and listening to some advice from the Maestro…He did a Great job! *Good Friend and Guitar Student IAN KNAPP (not pictured) and also DOUG MALISZEWSKI did a Fantastic job getting up to play in front of the Maestro. Way to go Ian and Doug! Special Thanks to all of the Students and Instructors who attended and participated in the Master Class, the torch has been passed! And THANK YOU ULI! We hope to see You again soon! You have again Greatly Inspired Us, and We will work hard on all of the Incredible Insights you have Inspired us with! We will Carry the Torch of Your Insights here at the School! 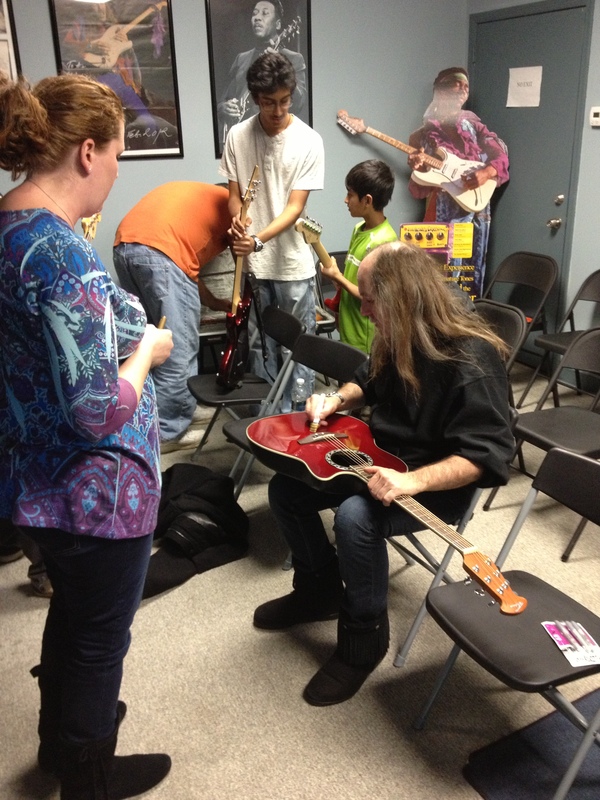 Pictured above is Student and Good Friend SANDI KIRKMAN getting her Ovation Acoustic signed by Uli after the Class with Students and Good Friends TARITH, and TALIK PATEL (and Phil in the back!) 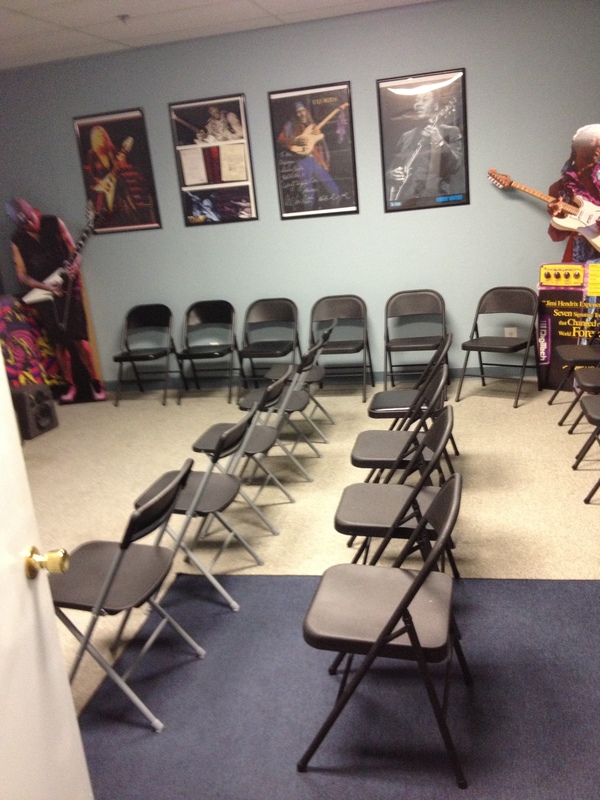 awaiting to get their Guitars signed. 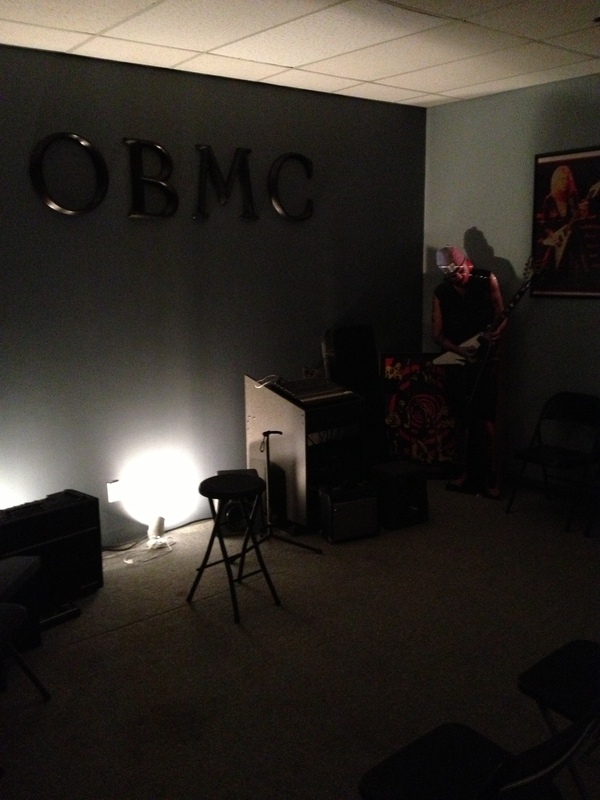 Pictured above is Student Alumni, Good Friend, and Future OBMC Instructor DOUG “E. FRESH” MALISZEWSKI with the Maestro after the Master Class. Mr. “Fresh” also helped with getting the Mixer up and running, Performed in front of Uli, and asked some Great questions during the Master Class! Pictured above is Owner and Director of Curriculum GREGG ZUBOWICZ with Good Friend and OBMC Instructor RON STEVENS with the Maestro after the Master Class. Ron, one of the School’s Classical Piano Masters will be implementing all of the Insights he learned during the Master Class with his Students here at the School. 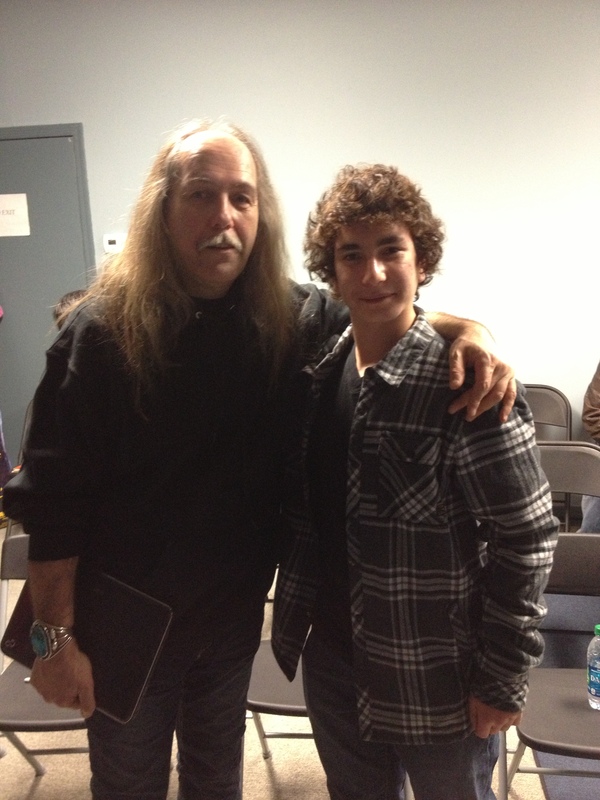 Pictured above is Student and Good Friend JAKE TAVILL with the Maestro after the Master Class. 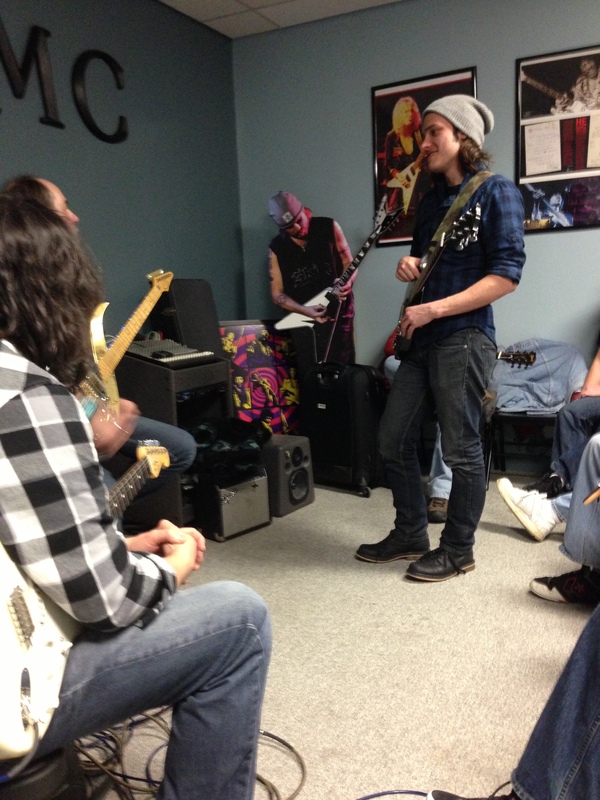 Jake, an up and coming Singer/Songwriter did an Excellent job singing the SCORPIONS Classic “WE’LL BURN THE SKY” at the beginning of the Class. Jake performs regularly at top NJ Venues, and will be releasing a new CD soon.You will be hearing much more from Jake in the Music World in the years to come! 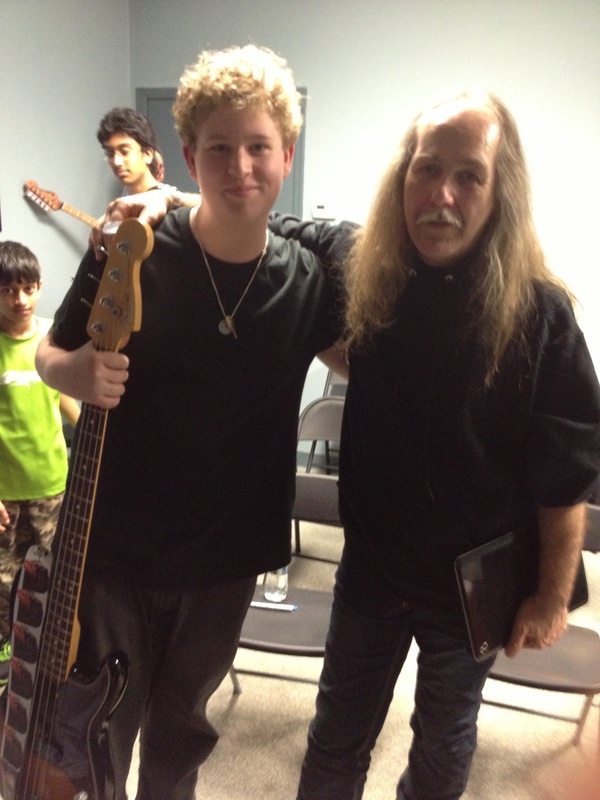 Pictured above is Good Friend and Bass Student CRAIG CALLAHAN with The Maestro. Great Day! 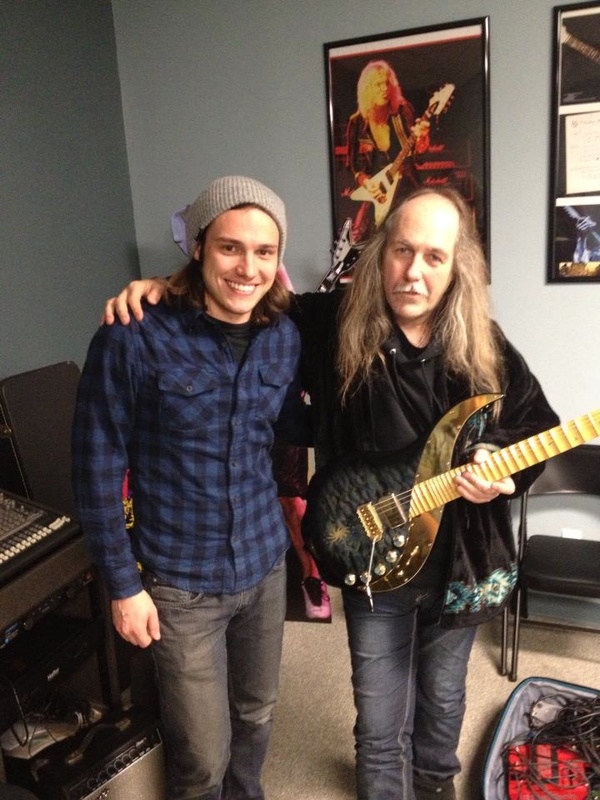 Pictured above is Good Friend and OBMC Guitar Instructor ERIK RUDIC with the Maestro. Erik has been working hard on Mastering all of the Great Insights ULI shared,and has been passing those Insights along to his students. 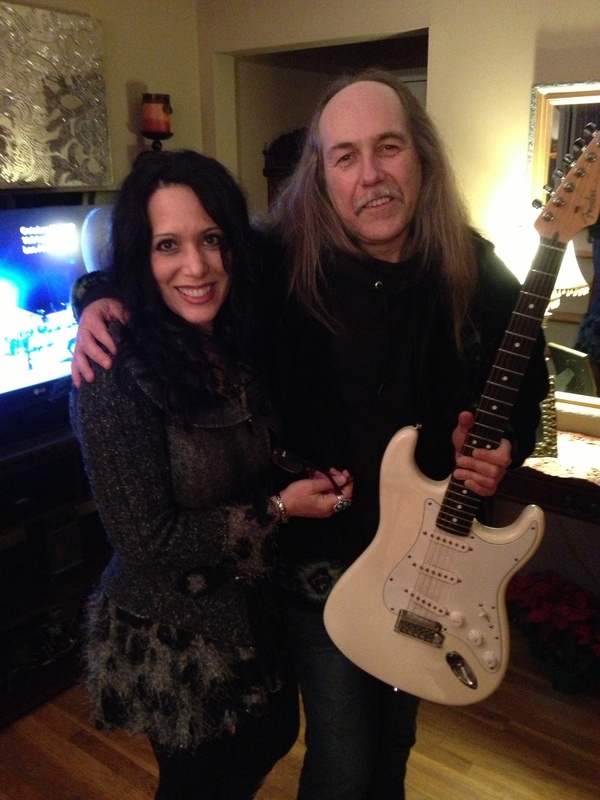 Before long the students had said their “Goodbyes” to ULI and Crew, and we had the pleasure of spending some time with the Maestro enjoying “Superbowl Sunday” back at the house with a few family members before he headed back on the road to the next show in Virginia. Uli and Angel back at the House…She worked so hard to make everything look and taste Great! The Best Hostess! Thanks Angel! 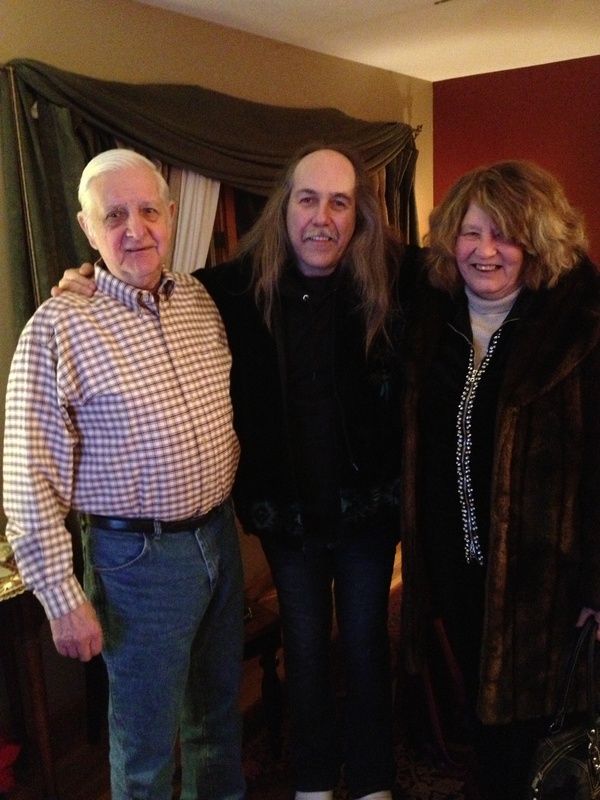 Dad, Uli, and Mom share a few laughs on their way out… What a Great Night! The Amazing night was coming to an end, and before long ULI and I were back on the road in the cold February evening air beneath a sky full of stars, sharing some good conversation about the days events and a variety of subjects before dropping him off and bidding farewell. There are times in your Life that you realize at a deep level how fortunate you are to have had a particular experience. You know that it was something that will last far beyond the days and hours ahead. And on those days and hours that do follow, you find yourself kind of “Drifting” along in a “Lighter” kind of way with those days and nights. You notice that everything has a certain “Glow” about it, and you keep going back to particular moments that really had an effect on you. 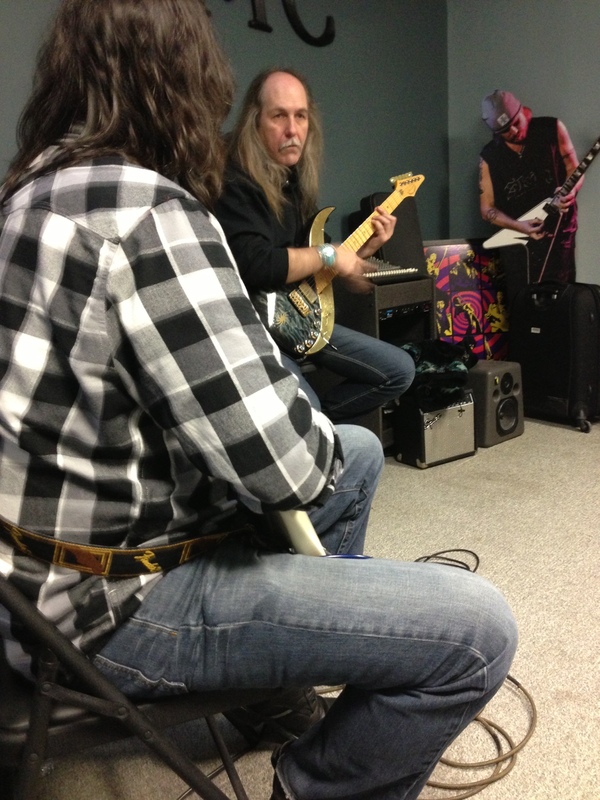 On a technical level, students routinely every day warm up and practice the techniques that ULI taught during the Master Class. 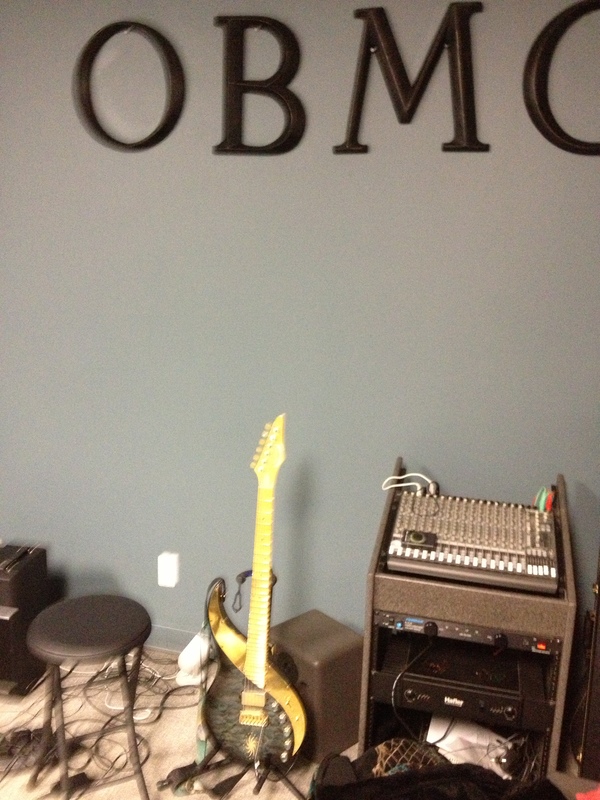 On a Spiritual level, students who attended have been working hard to “Be One” with the Music and their Instruments. It’s Amazing how many of those same students still are talking about how much the Master Class changed their perspectives on how they view the Music and it’s relation to them being “connected” through the Instrument. 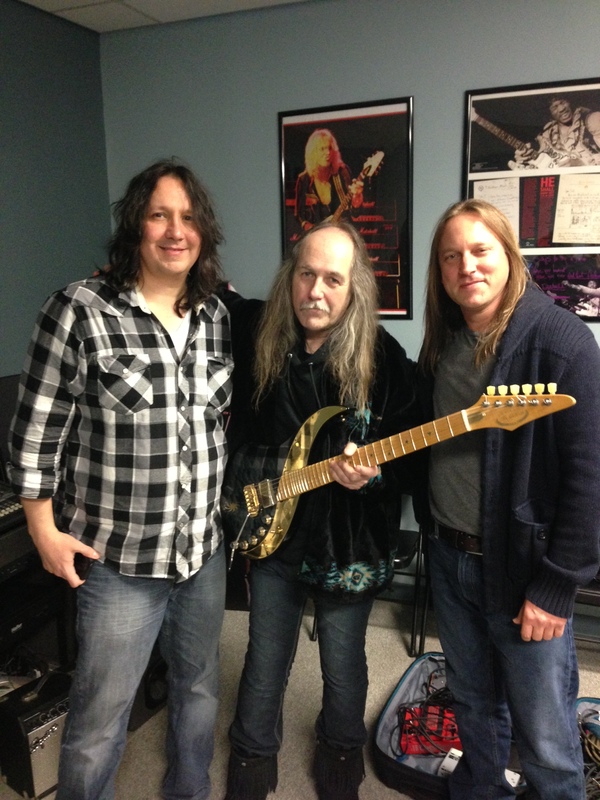 After the first SKY ACADEMY the previous year, ULI and band had performed right up the road at THE STARLAND BALLROOM in Sayreville, NJ, but this year they were playing on a Wednesday Night in New York City at a newer Venue called STAGE 48. Those who study here at the School know that on Wednesday Evenings (and all other Evening’s as well!) we teach classes until almost Midnight, so there was a conflict between classes and the Concert, but we had to find a way to make it work, and so for one night only I moved those last classes around to another day, and Angel, Doug E. Fresh and I made arrangements to meet and drive to the show together. 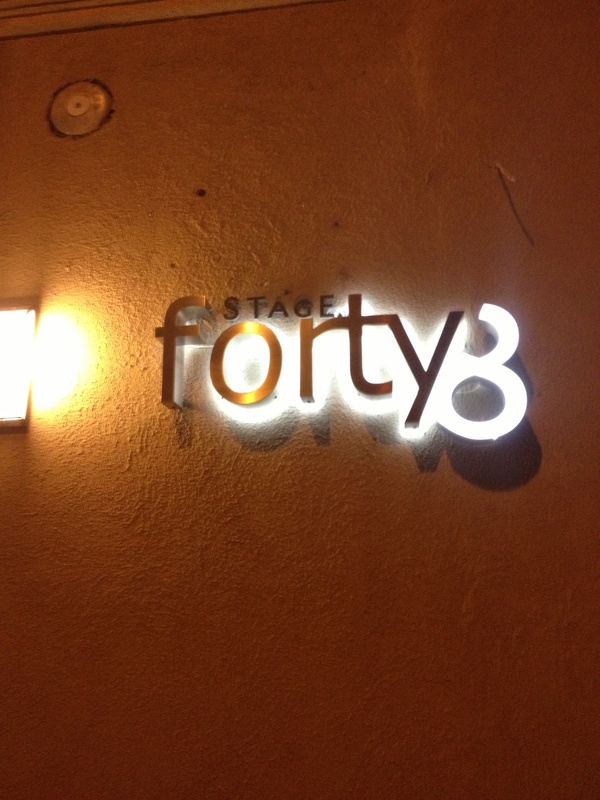 The ride on the Turnpike to the show was filled with Great conversation, and before long we had made it to STAGE 48, (which is only a handful of blocks outside of the tunnel,) and managed to get a spot right in front of the club. Awesome! With this in mind, we always encourage anyone and everyone to see ULI and Band whenever they come around-they will blow you away! 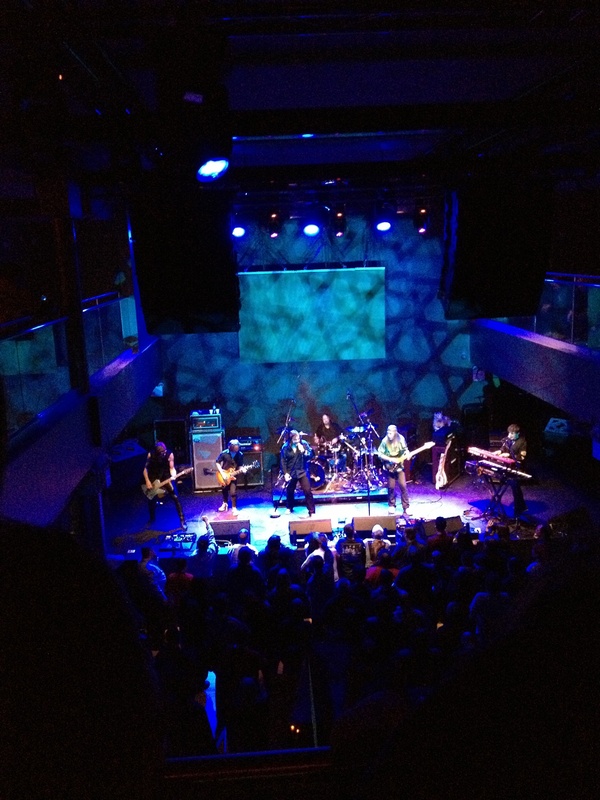 It is always Great going to or playing a new Concert Venue for the first time. 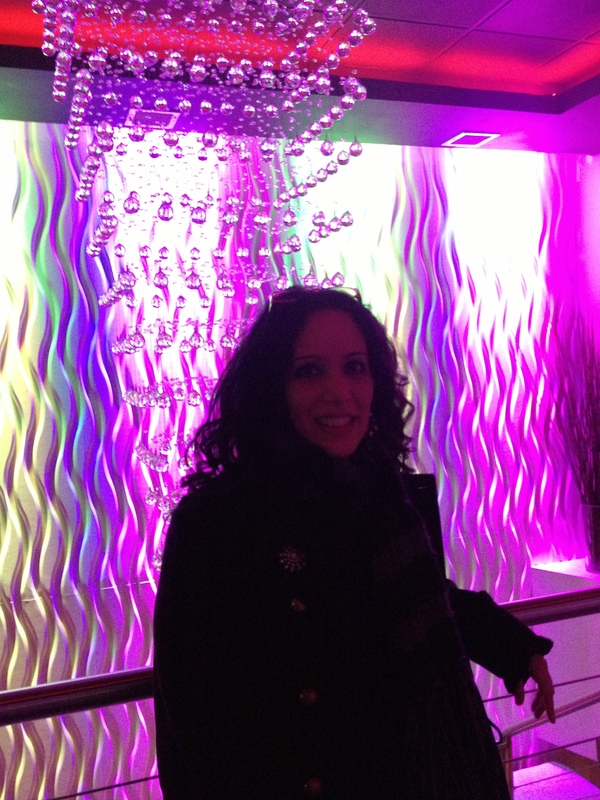 You never know what to expect, and in this instance we were really pleasantly surprised at how nice of a Hall this is. Angel walking into Stage 48. 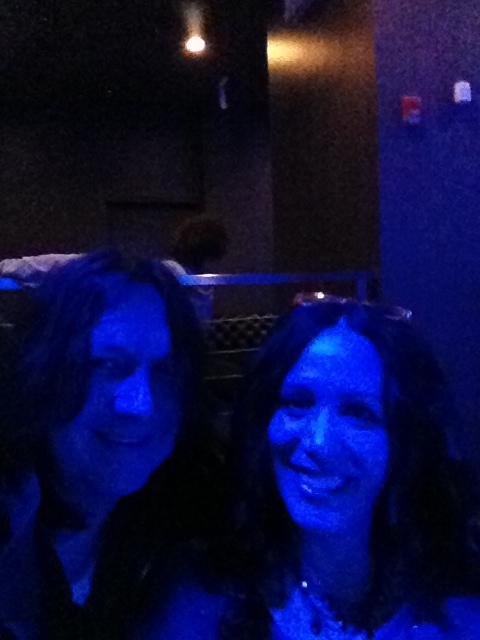 Great place to see a Show! Before long the opening notes of the SCORPIONS Classic “ALL NIGHT LONG” came through the PA, and Angel, Doug E. Fresh and I were in Music Heaven, as the band was Super Tight and Sounded Incredible. 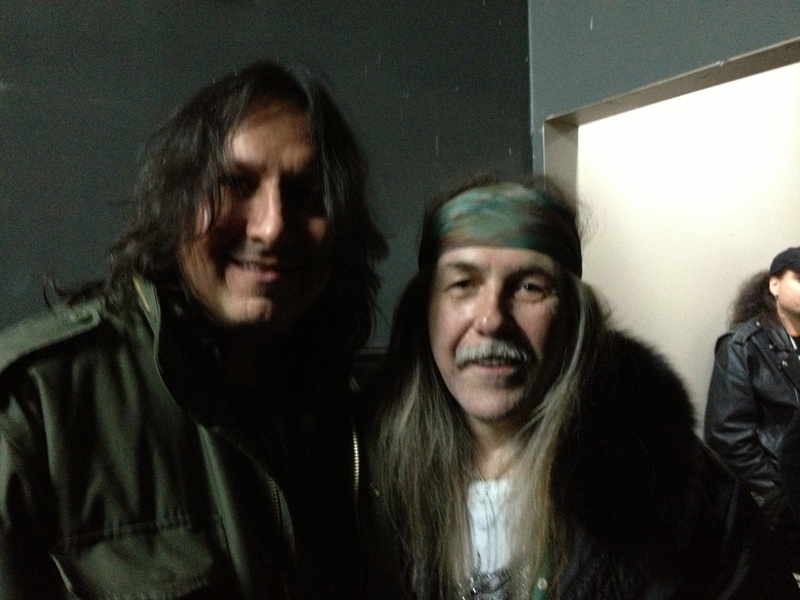 ULI and band then proceeded to go through a Set of vintage SCORPIONS Classics, and Mr. Fresh and I were in Guitar Paradise, playing “Air Guitar” to every riff, chord, and solo that ULI was playing. For a brief period of time we were transported back to another time, when some of the Greatest Bands of all time were routinely on the road, and we were just kids in our rooms practicing those Great SCORPIONS songs without a care in the world other then doing everything we could to find the next note, and Dream the Dream until it happened..
Aside from ULI’S outstanding Musicianship, the rest of the band sounded great also, and it was a real joy to hear all of those old SCORPIONS Classics with the Original Guitar Parts done the way only ULI can do them. It is also interesting what happens during times like this when you realize that you are in the presence of something really special- You do your best to “take in” the moment, to capture it in your “Musical DNA”, as you know that you are really fortunate to have that experience… That’s what happened to Mr. Fresh, Angel and I on that night. We knew that this was one of those moments. It was really a Celebration of ULI’S Music with the SCORPIONS (40 years! ), but also a Celebration of the Artistry of one Man and Musician who has inspired countless others around the world all the while staying true to himself and his art. 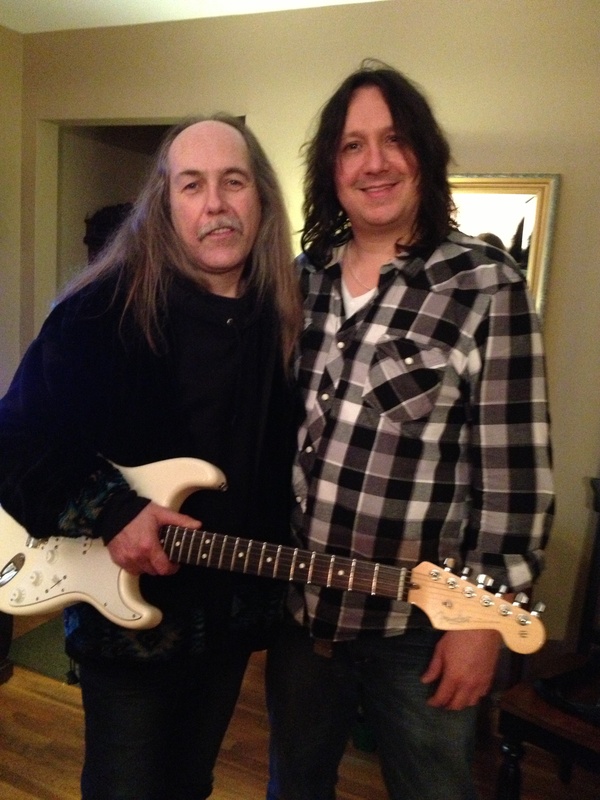 Doug E. “Fresh” Maliszewski and ULI share a Laugh after the show in NYC…Great Shot! 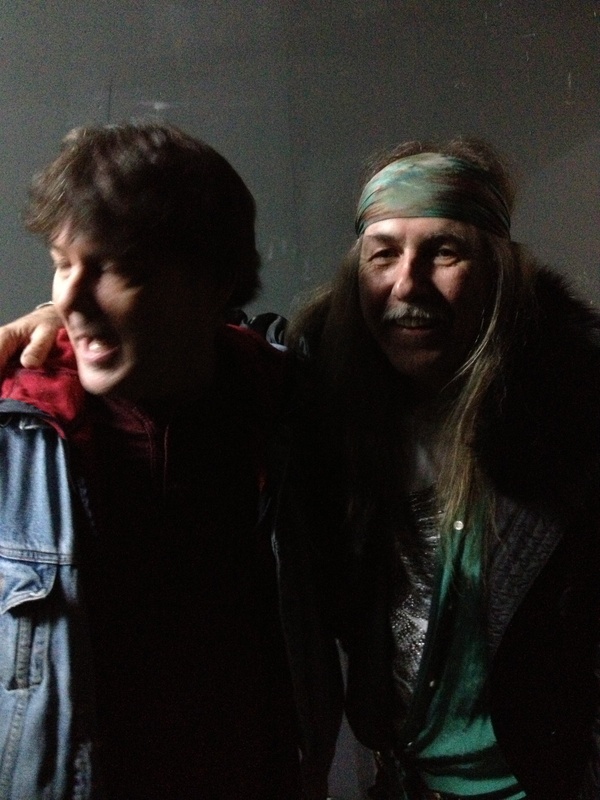 Angel and ULI Backstage after the NYC Show- ULI had us all laughing and smiling!- Another Great Shot! 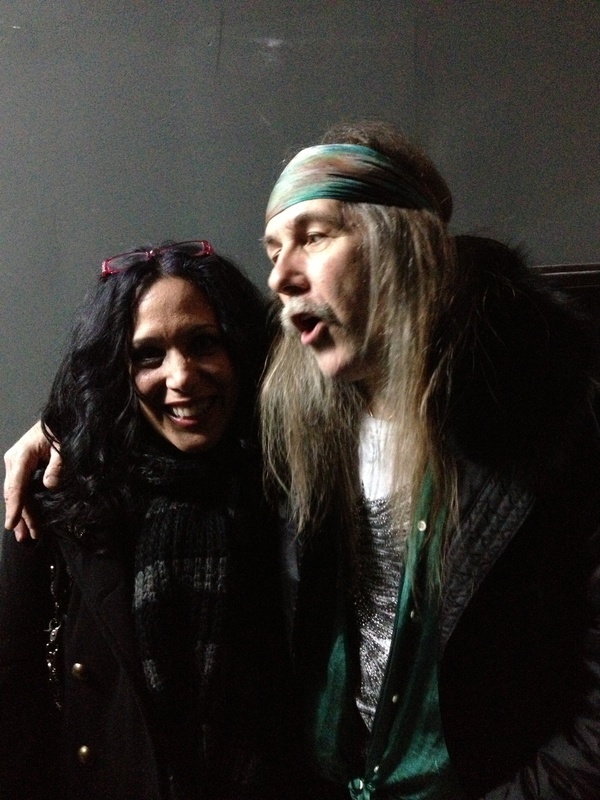 Uli and I Backstage after the NYC Show having a few laughs also! Great Night! We shared a few laughs, and thanked the Maestro for an Incredible week of inspiration and music. 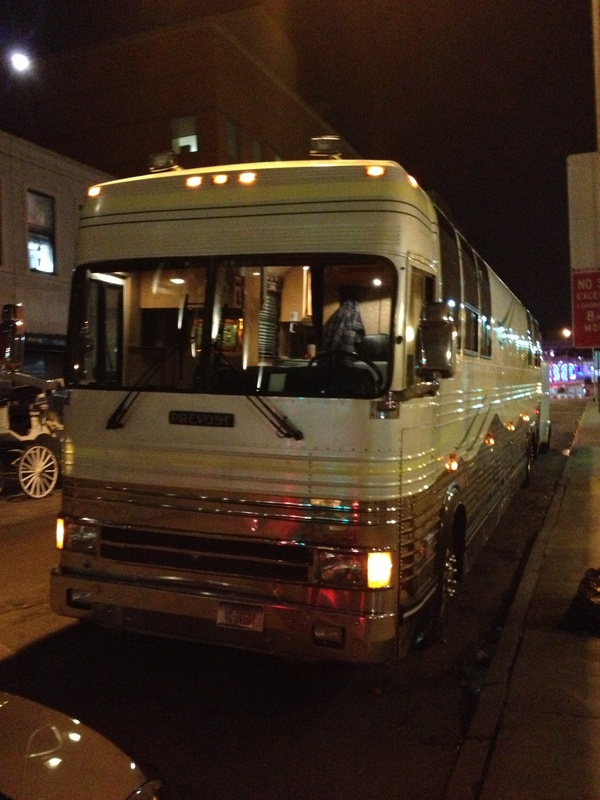 We said our last “Goodbyes”, heading out into the Midnight Winter Air with a different “Feeling” than when we had arrived. The Maestro had touched us once again and invited us without saying a word to believe in our dreams in the music,in the art, in a higher ideal that goes beyond the temporal into the eternal. In the 5 months that have passed since having ULI here for the Second SKY ACADEMY it’s Amazing how that Incredible day (and week!) have lasted with all of the Students and Staff here at the School. It’s great to hear students (even the one’s who were not able to attend) warming up in the rooms with the exercises ULI gave us to practice, while other students work diligently on their Vibrato the way ULI described in detail, while others in 2013 are playing old SCORPIONS Classics that he wrote with the band almost 40 years ago. Awesome! A step further, we have seen students who attended the Class have a complete transformation with the way they play, approach, and listen to the music. Students who were very hesitant to just “go for it” with their creativity and improvising are playing with passion, fire, and inspiration. It’s fantastic. I have tried my best to “encapsulate” the entire experience of the SKY ACADEMY this year, as well as some of the personal experiences I had with the time I was able to spend with the Maestro, but as lucid and detailed as I tried to be, I kept searching for words while writing this that really don’t exist. What I mean by this is that the experience was beyond words. Great things are like that. They move us inside to find the things within ourselves that remind us amidst the dim hum of routine, the chaos of world events, and just the murmur of “Life” that there still are Great Things in this World that go beyond, and remind us of something far Greater that lives within ourselves and comes from somewhere far away yet ever so close.